Taiyō Kōki K.K. (太陽工機㈱) was a Japanese company based in Tokyo, Ōmori, in the 1960s. 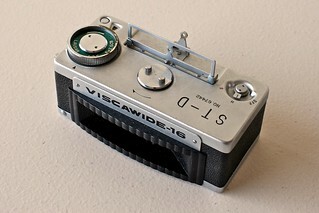 It made the Viscawide-16 panorama camera using 16mm film, released in 1961. The company name was spelled Taiyokoki Co., Ltd. in a single word on the camera markings. ↑ The exact address in May 1962 was Tōkyō-to Ōta-ku Ōmori 9–410 (東京都大田区大森9の410). Source: advertisement reproduced in Kokusan kamera no rekishi, p.268. ↑ See this disambiguation page for other uses of the name Taiyō. This page was last edited on 8 November 2016, at 22:26.